The GroVia O.N.E. 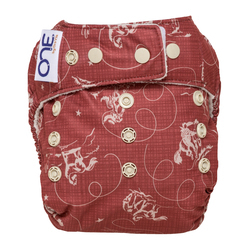 Cloth Diaper is a unique one size, all-in-one diaper designed to fit all of your diapering needs. GroVia O.N.E. 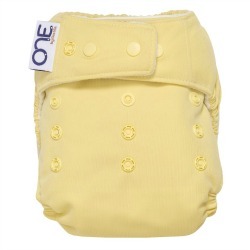 Diaper - Everything You Need In One Diaper! 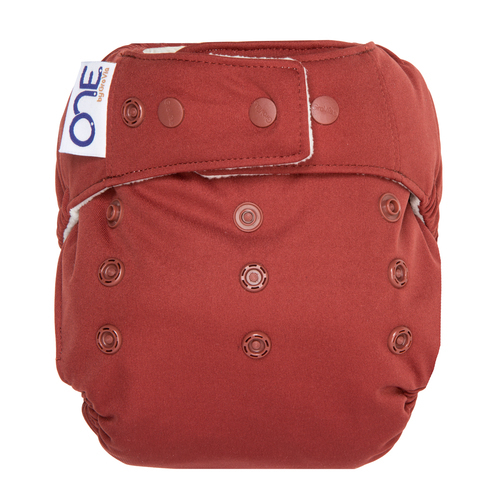 O.N.E is a unique all-in-one diaper that we have spent the last several months designing and refining. 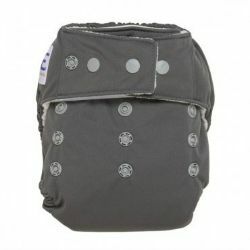 It is a true all-in-one diaper (fits 10-35+ pounds) with a unique Outlast closure system that gives the user the ability to choose between Hook & Loop and Snap closures, and the ability to buy a replacement kit when your Hook & Loop wears out. O.N.E's absorbency comes from a hidden body layer PLUS our one-of-a-kind cotton, channeled soaker design that is trim yet absorbent. All with the same amazing quality you've come to know and love in GroVia products. O.N.E. 's unique cotton soaker material does not require prepping. 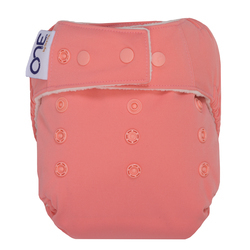 A super soft cotton jersey material, O.N.E's soaker will stay soft wash after wash. Each O.N.E diaper comes with a modular set of soakers. What makes the O.N.E. diaper unique? Innovative rise snaps allow the O.N.E. to grow with your baby (fits 10-35+ lbs. 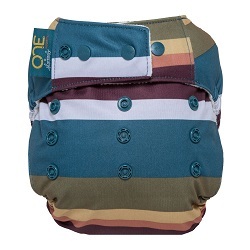 ), and the durable materials ensure you can use this diaper for many years to come. One big barrier to using cloth diapers is the need to prep natural fiber diapers (by washing and drying multiple times before use). O.N.E. 's absorbency comes from a unique cotton blend (less than 10% Polyester) material that does not require prepping, allowing you to start using your new diapers right away! 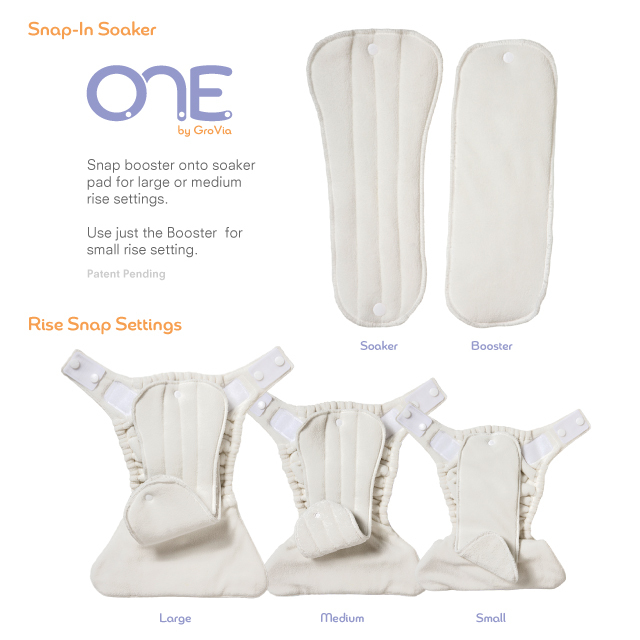 O.N.E's Modular Snap in Soaker System allows you to completely customize the diapers absorbency whether on the smallest rise setting or the largest. The unique "channeled" soaker design quickly directs liquids down into the absorbent core of the soaker pad. 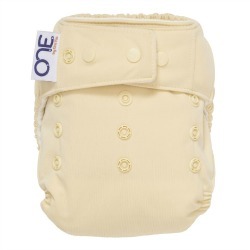 You can forget about buying extra boosters or separate overnight diapers with the O.N.E. We’ve included a handy dandy snap-in booster that can be used for heavy wetters or as an overnight night solution. Then simply remove during the day for a nice, trim fit. With the O.N.E., no need to worry about the Hook & Loop wearing out. 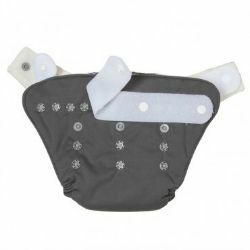 You can simply purchase the low-cost Hook & Loop Replacement Kit that snaps right onto your existing diaper, making it look brand new. Complicated wash routines are a thing of the past with the O.N.E. The unique cotton blend soaker material means no shrinking and the ability to wash just like you would any other piece of clothing. You can even use bleach! We want to make it as easy as possible to try out the O.N.E. 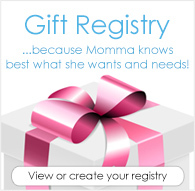 Plus, when you also take into the account all the money saved from not having to buy diapers with multiple closure types, extra absorbency, and diaper replacements, it truly is a no brainer! 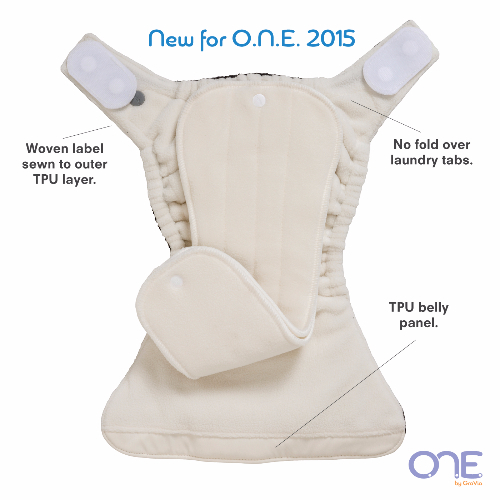 Maximize your freetime with the NEW, all-in-one, one-size cloth diaper. 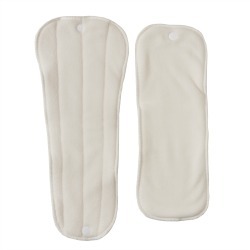 Two semi-attached stay dry inserts inside allow for adjustable absorbency. Diaper your baby in one easy step! GroVia The O.N.E. Soaker Set includes two separate Soakers - one large and one small piece. Features a modular Snap In Soaker System allowing for easy customization. Got for overnights. But like for daytime. 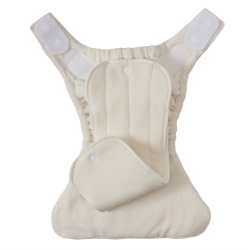 So I really wanted this to work for an overnight solution for us, but my heavy wetting, tummy-sleeping 1 yr old leaks out about 75% of the time. (And I've looked up the tips for folding the boosters for tummy sleepers!) So bummer there. Thinking about adding some FST before totally giving up on this diaper though because I love the actual diaper! Soft and well constructed. not to bulky. fits great (even without the hook and loop option!) Made me wish I'd invested in these for daytimes over the AI2 Hybrids! Our best nighttime solution! When my son was 6 months old and up these worked great through the night, even when nursing all night long. He's about 2.5 now and I've had to switch to using two large soakers instead of one large and one small, but they're still going strong! We only use these at night and I didn't start using them until after my guy wasn't pooping in the middle of the night anymore, so I'm not sure how well the leg elastics would do with containing messes. 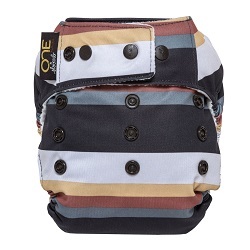 These are our favorite nighttime diapers and in our top two of overall favorite brands. They really hold SO MUCH! They are easy to put on, wash well, I'm still on the first rise and my baby is 9 months old! I only wish they had cuter prints more widely available! The absorbency is enough where I don’t have to add any boosters for a regular daytime diaper on my super soaker. But the fit is so weird. Always get wing droop. The elastics started relaxing pretty fast. Cute prints and good fit! Only complaint is having to be really careful to rinse well especially if used overnight so they do not retain smell.